There aren't many occasions I enjoy getting all dressed up for, anymore (comfy clothes rule the day, over here). But Christmas is definitely one time of year where I am happy to look my fanciest. 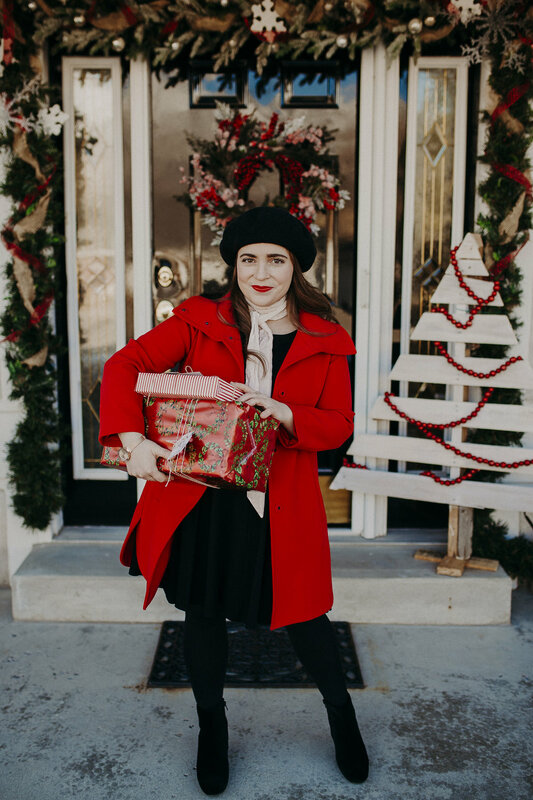 This year, I wanted to create a Christmas look that was timeless, while also embracing a few of the top trends I have been seeing. First up is this gorgeous, rose gold toned Swarovski crystal accented mesh bracelet watch. Perfect for any occasion! 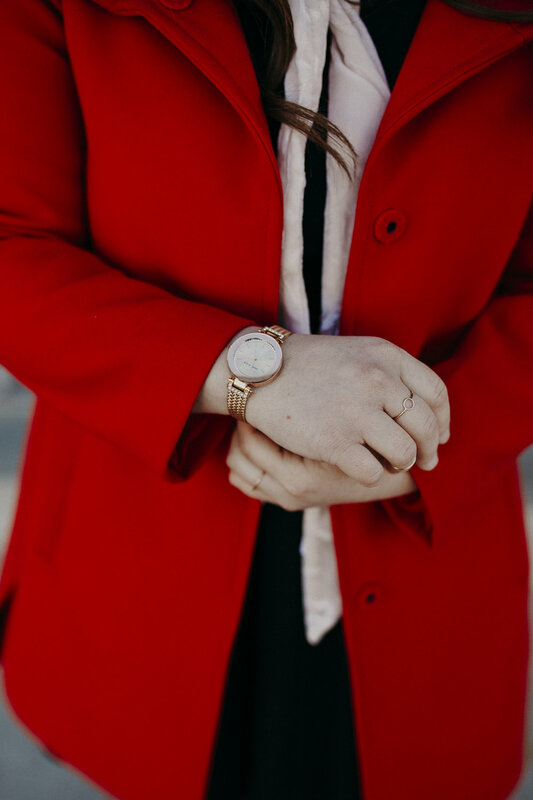 I picked this Anne Klein watch up at my local Macy's, and it has been a simple way to add just the right amount of bling to my holiday looks. Anne Klein watches function as practical timepieces, perfect for staying on schedule while also staying on trend. These watches come in a variety of different shapes, sizes, colors and materials – to fit any woman’s fashion needs. Plus, they'd make a great gift to place under the tree or in a stocking! Hover over the image, below, to shop instantly! This season it is all about those skinny scarves! I've always been a fan of blanket or chunky knit scarves, but this season, I'm simplifying with skinny scarves! Velvet has been everywhere this season, and I am not complaining! Both my boots and scarf are velvet, and they add a gorgeous texture to this or any look! I have been a bit obsessed with this trend, lately. I am so glad the beret is back! This hat has been my go-to, this season, and I'm hoping it stays a while! Throw on a beret with any outfit, and you will be on-trend and holiday ready! I've had this red coat for a few years now, but this year, it seems everyone has one! 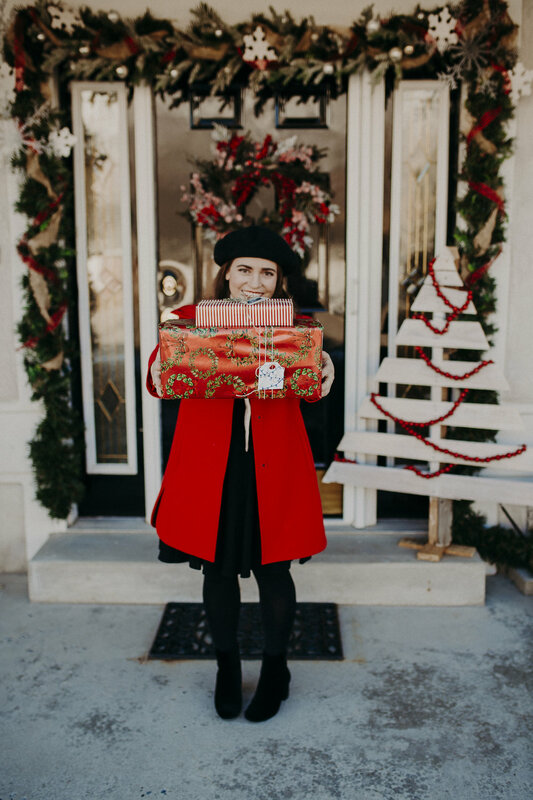 Every girl needs a great, Christmas red coat in her closet. It's the easiest way to dress up any look, this holiday season! 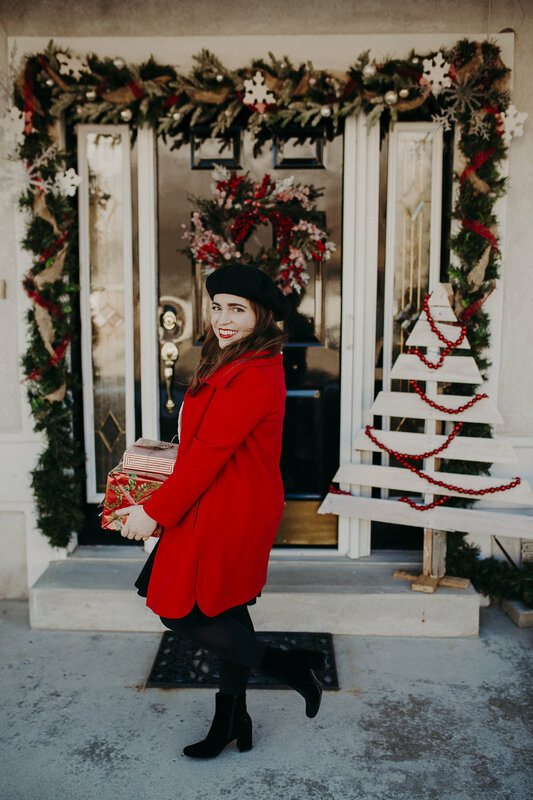 Dress up your seasonal looks with statement watches, statement coats, velvet, berets, and skinny scarves for an on-trend look that will have you feeling and looking your Holiday best!